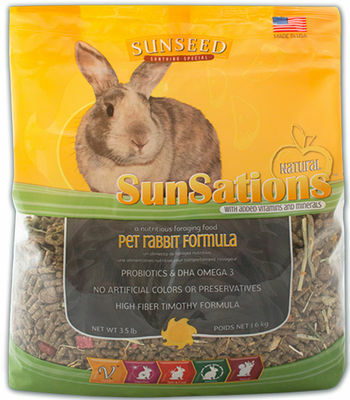 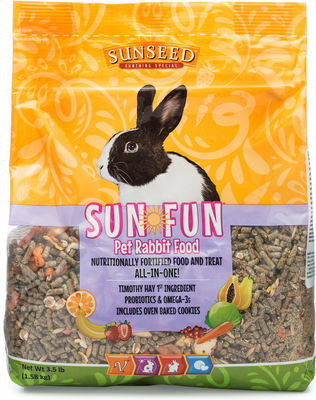 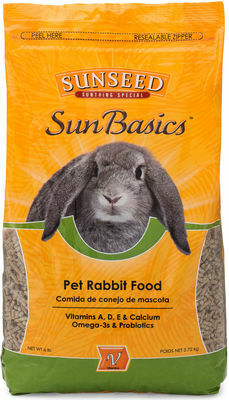 An enriched foraging diet that provides pet rabbits with a convenient and fun, all-in-one gourmet meal. 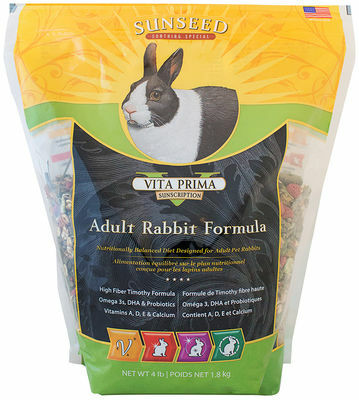 An alfalfa hay-based diet made in the USA and fortified with all the basic, essential vitamins pet rabbits need throughout each life stage. 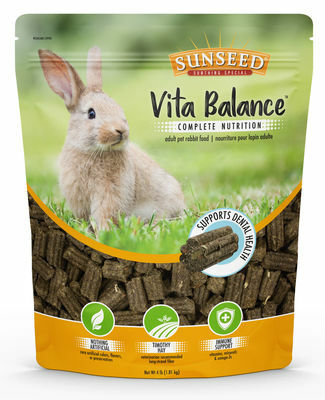 New complete, all-pellet diet designed to support rabbit dental & overall health. 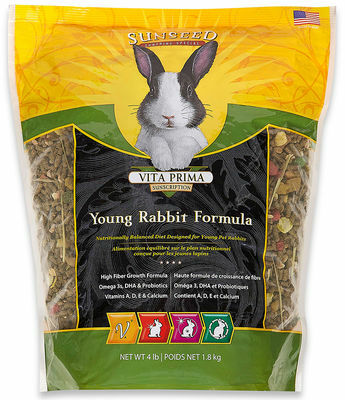 A high-fiber diet for adult pet rabbits made from a tasty blend of timothy hay, vegetables, fruit, and fortified nutrients. 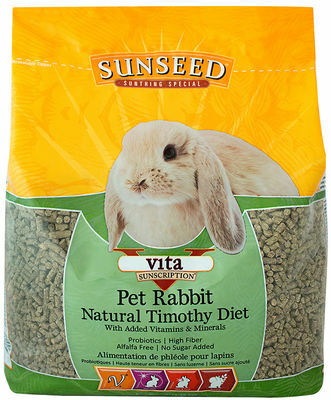 Natural, all-pellet diet made with high-fiber timothy hay and fortified with all the essential nutrients your pet rabbit needs. 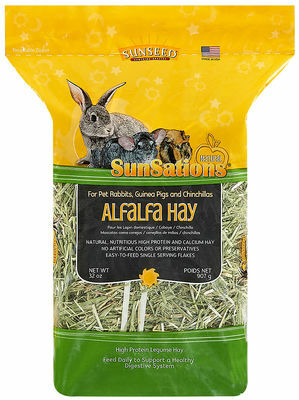 Natural, 100% North American farm-grown alfalfa hay, rich in fiber, protein, and calcium to meet animals' unique nutritional needs. 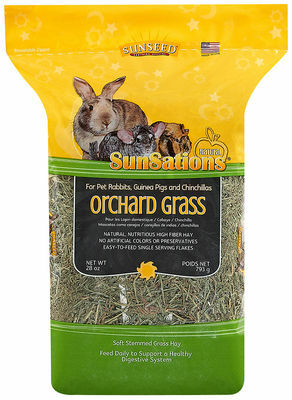 Natural, 100% North American farm-grown orchard grass hay, packaged for easier feeding with less mess. 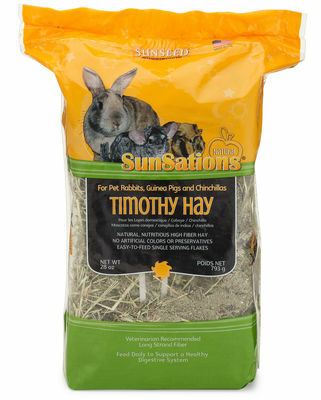 Natural, 100% North American farm-grown timothy hay, packaged for easier feeding with less mess. 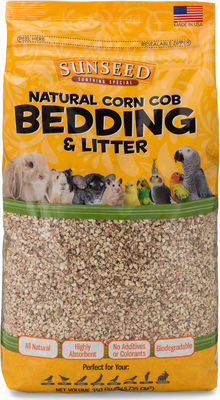 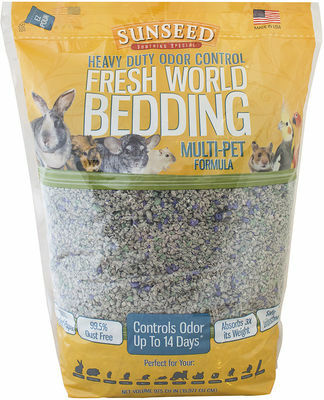 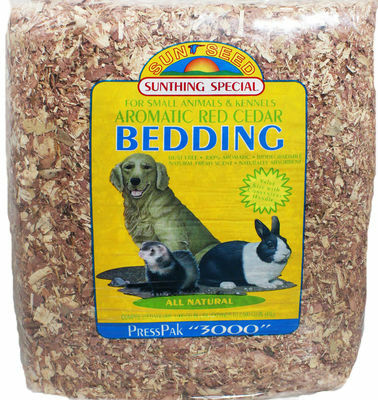 An environmentally friendly aromatic bedding deal for use in rabbit hutches, ferret dens, and dog kennels. 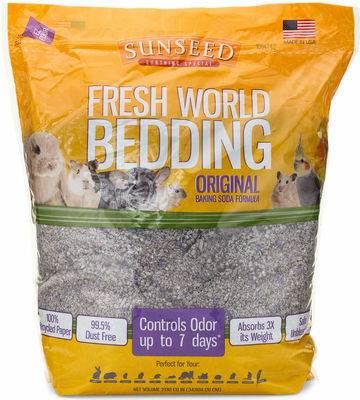 Soft and cozy bedding made from 100% recycled paper, with up to 7 days of odor control for a happier, healthier home. 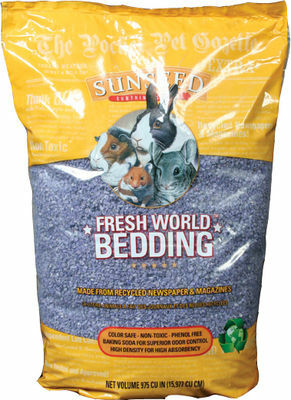 Soft and cozy purple-colored bedding made from 100% recycled paper, with up to 7 days of odor control for a happier, healthier home.